The Via Lattea (Milky Way) is a great ski area that has in the centre of the town of Sestriere, in the province of Turin, its main core. More than 400 kilometers of slopes at the foot of Mount Motta, snaking between several Piedmontese resorts (Cesana, Claviere, Oulx, Pragelato, Sansicario, Sauze d'Oulx and Sestriere) and the French site of Montgenèvre. Every year, hundreds of ski and snowboard races at all levels take place here, from amateur to World Cup races, organized by the Sporting Club Sestrières, a reference point for the lovers of winter sports. The 4-star Hotel in Sestriere especially host Italian, French and English tourists . 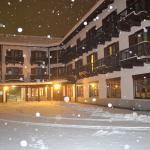 The Hotel Grand Trun stands in Sauze d'Oulx, the popular resort of Susa Valley, just 400 meters from the ski slopes. 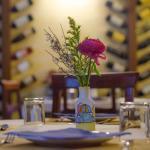 It is also easily accessible by the A32 motorway and 10 minutes drive from Oulx. Case Vacanza Perron stands stright over the Val di Susa. Located in Jouvenceaux, it is about 500 meters from the ski lift direct to the highest point of Sauze D'Oulx. 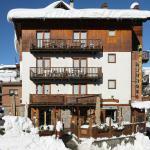 The hotel Assietta is a typical mountain building surrounded by the Alps and located in the centre of Sauze d'Oulx. 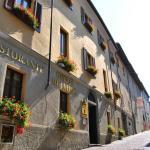 It is easy reachable by the A32 motorway and Oulx is only 10 minutes away by car. Park Hotel Gran Bosco is a welcoming structure typical of the Alps located in Sauze d'Oulx. 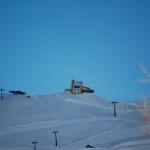 The hotel is located in the ski area Via Lattea. Hotel Chez Toi is located in the ancient village of Oulx, in the heart of Val di Susa and is part of the Via Lattea ski area. Thanks to a complimentary shuttle service you can easily reach the nearby ski slopes. Residence Du Commerce is located in the popular ski resort of Oulx, just opposite the railway station and not far from the ski slopes. The nearby exit A32 and the E70 highway ensure comfortable travel.